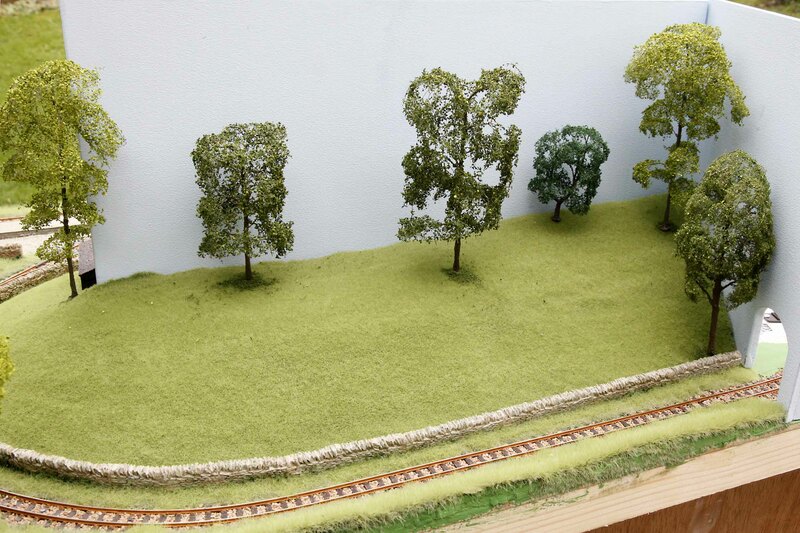 I have spent a joyful Saturday morning adding trees to my layout. 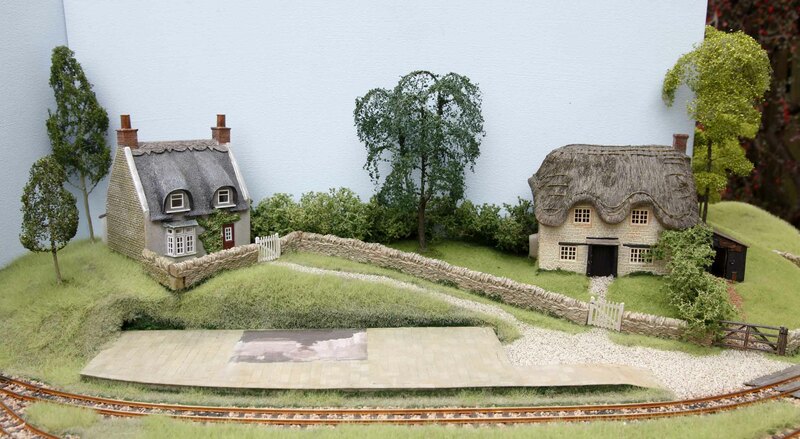 The trees are from The Model Tree Shop and I have to say they are great. Each tree has a metal wire sticking out of the base of the trunk. It was easy to push this into the polystyrene hills to position the tree. Sometimes, where the hills are low, the wire went through the hill and touched the baseboard. For these trees I drilled a 2mm diameter hole through the baseboard to fit the tree. A touch of expoxy glue…. et voila… job done. I added a small amount of scatter around each tree to cover up any excess glue. 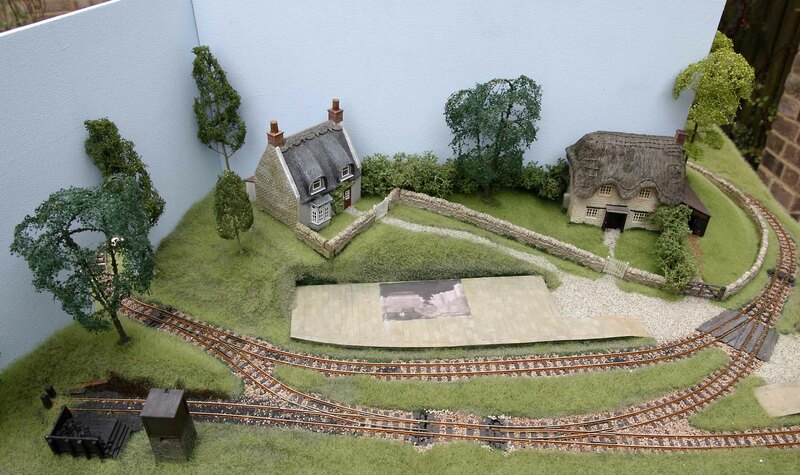 You can see this quite clearly on the countryside side of the layout. I will hoover this off tomorrow. A very satisfying and enjoyable couple of hours!